Last weekend, we visited Berkeley. 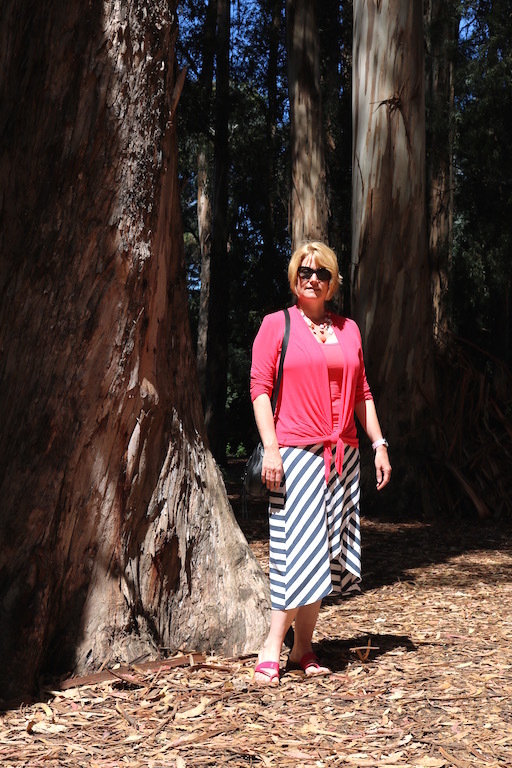 I decided to wear my striped skirt; you last saw the striped skirt paired with a black tee and red accessories. Many of you had commented that you'd like to see the skirt with a bright top, so I wore it this time with a raspberry tank and cardigan, and I like the outcome. I love the redwoods right in the middle of the UC Berkeley campus. 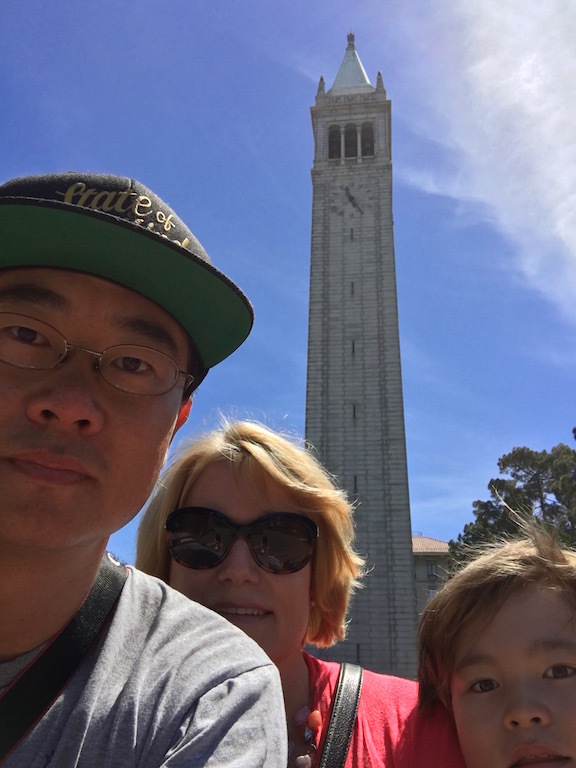 We also made it to the famous Campanile Tower. There are so many fun and interesting things to explore on campus. After visiting the UC Berkeley campus - Andy's alma mater - we went to the Pacific Standard Taproom. Andy got a beer flight, and I had a tasty cider (third from the left). Pacific Standard is an outpost of Half Moon Bay Brewing Company. 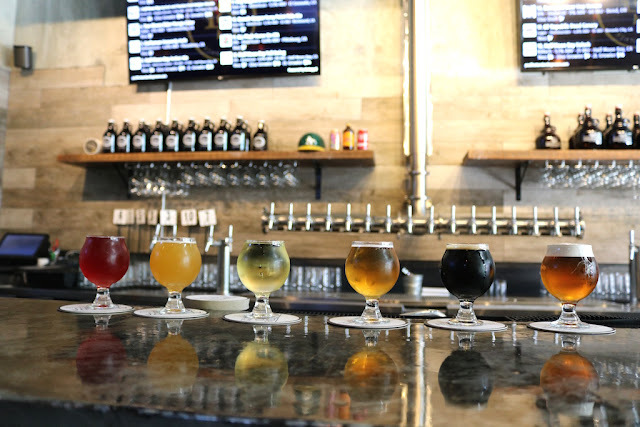 They have an impressive tap list that includes Half Moon Bay Brewing Company beers as well as many others. What was truly unexpected was the quality and deliciousness of the food. The food menu is small, but everything is made with love and truly outstanding. We started with some pickled vegetables, which were crunchy and had the perfect seasoning. We also got a grilled cheese sandwich and a charcuterie board. The grilled cheese sandwich was served with tortilla chips which came with the tastiest salsa we have ever tasted. And that is not an overstatement. The charcuterie board had a wonderful selection of cheeses and meats as well as more of the delicious pickled vegetables. 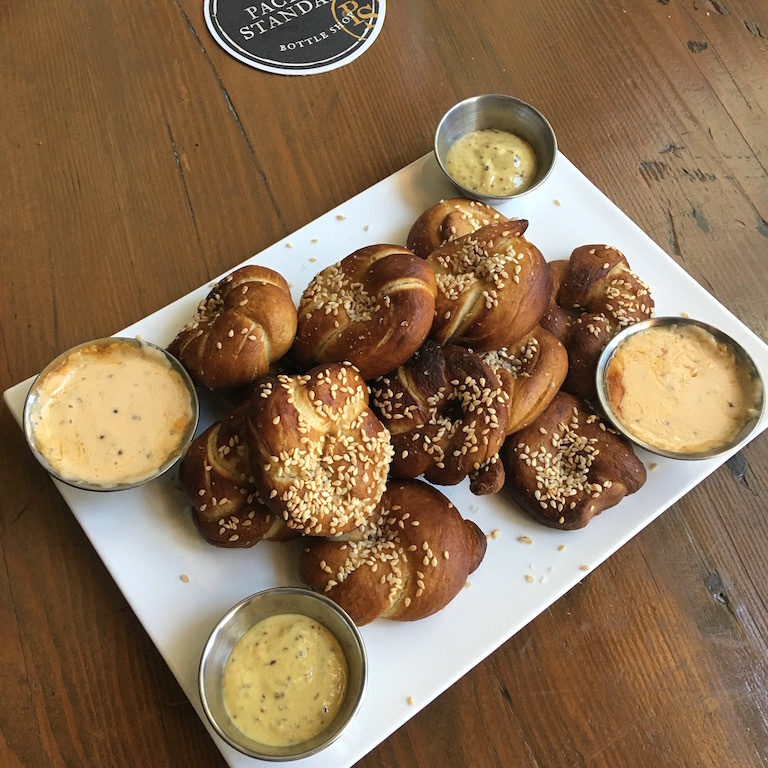 Finally, there were freshly baked pretzel knots, which were served with a warm cheese sauce and a mustard sauce. Everything was extremely tasty and by far exceeded our expectations. Questions: Do you like the striped skirt better with the black top or the raspberry top? What was your last tasty outing? 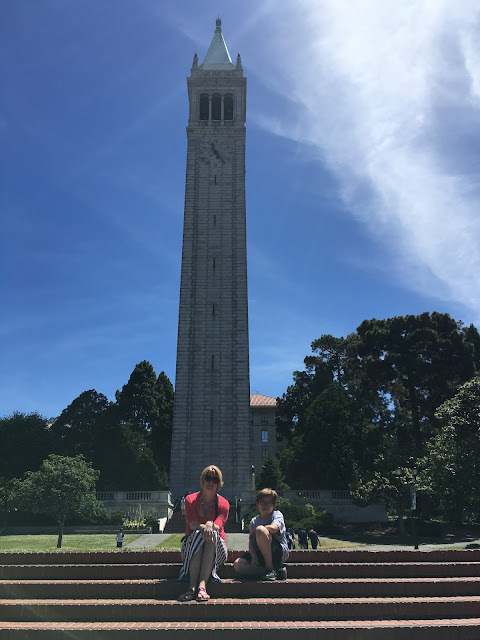 Berkeley is always fun to visit! Next time I'm there, I'll have to stop by Pacific Standard! Yes! You should definitely check it out! Definitely love this outfit withe the bright top, Andrea!! 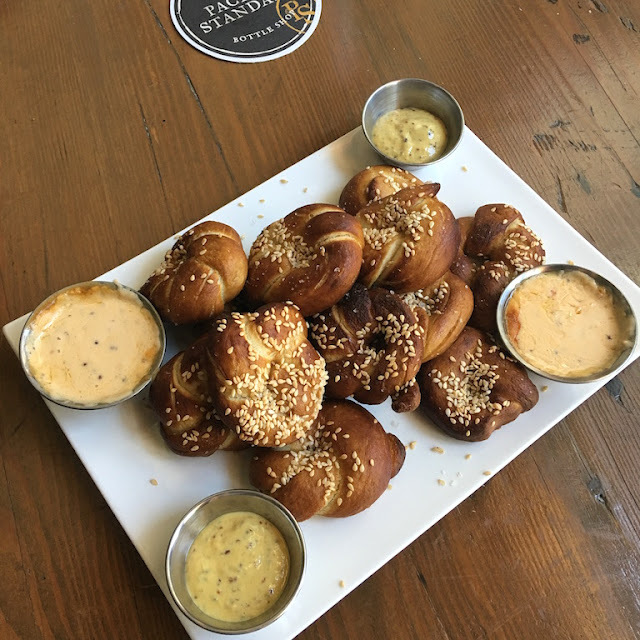 What a fun field trip----the pretzel bites looked amazing!! Thanks, Jodie! And, yes, it was a fun and tasty outing! Funny you mentioned a charcuterie board. Our last painting experience was held at a little bar downtown. They had a unique selection of draft beers and a small menu of sandwiches and a charcuterie board. I had never heard of that before but ordered it and was so glad I did. An assortment of cheeses, meats and fruits. Was the perfect summer dinner. The painting experience sounds fun! I've done one before with a group of mom friends but want to do it again with Andy! That is such a beautiful skirt! Any color is perfect with it! Cider is so delicious isn t it! And I loooove a cheese and meat board! Gerben made that yesterday as a starter! And, yes, cheese and meat boards are great! Oh everything looks so yummy! I love your skirt! So cute and compliments the top! Thanks, Edwige! Everything was really good! Such what a beautiful place and such a beautiful family! I love the stripes and I love your beautiful smile! 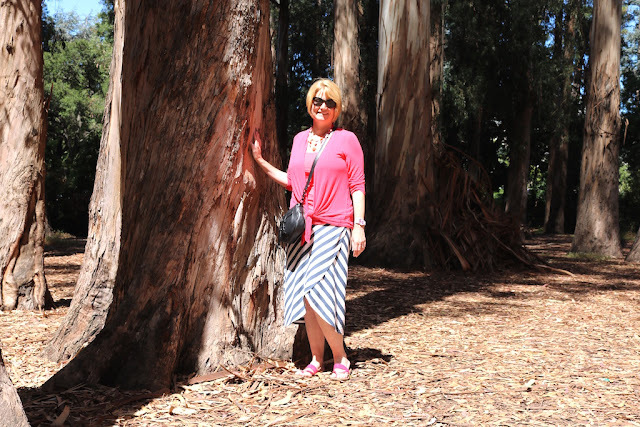 The skirt looks fab with the pink, and your photos are great - love your shots of vineyards and breweries. This looks like so much fun! And the food looks delicious too! Thanks, Laura! It was a great day! That charcuterie board looks SO delicious! I would love to see the redwoods. Love your outfit, that raspberry tank and cardi are gorgeous on you! Thanks, Carrie! It's so fun to be able to see redwoods right in the middle of a college campus. 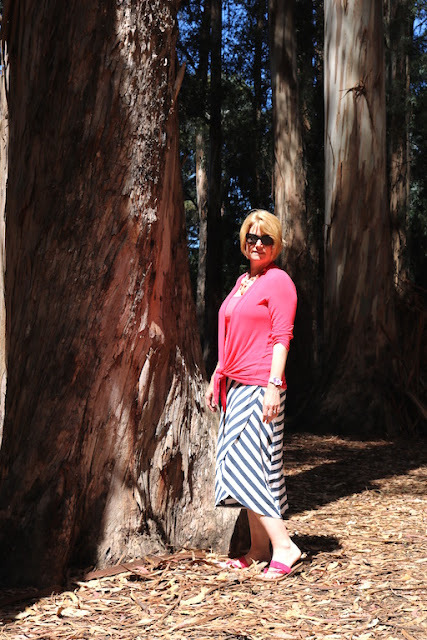 Love your striped skirt paired with a pop of color! It sounds like you had a great time visiting Berkeley. 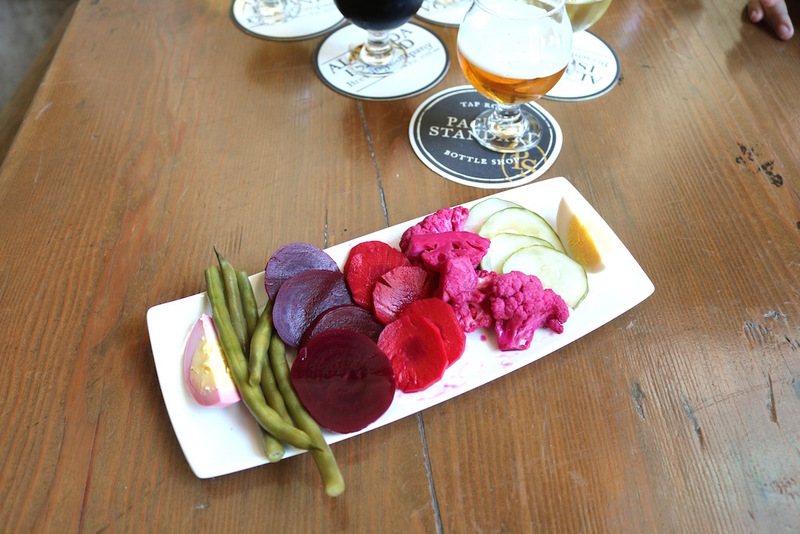 The food and beer look delicious at the brewery! Thanks, Katie! Berkeley is such a fun place to visit! What a fun trip! 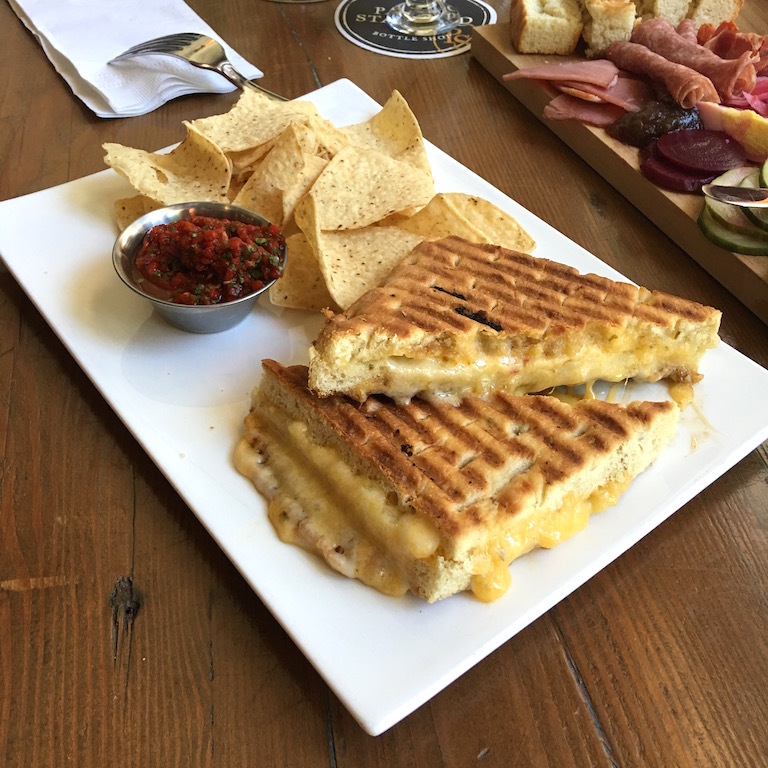 All of the food looks so good at that brewery! I love your striped skirt styled with the bright raspberry top and cardigan! Thanks, Jill! The food was truly delicious. An interesting place and tasty food : two good reasons to enjoy the trip!! Thanks, Dan! And you are right, the food and surroundings made for a fun trip! Thanks for linking up to Top of the World Style. The root food looks delicious. OMG. So many "os". Thanks, Nicole! It was really good! Love the skirt with the pink top. 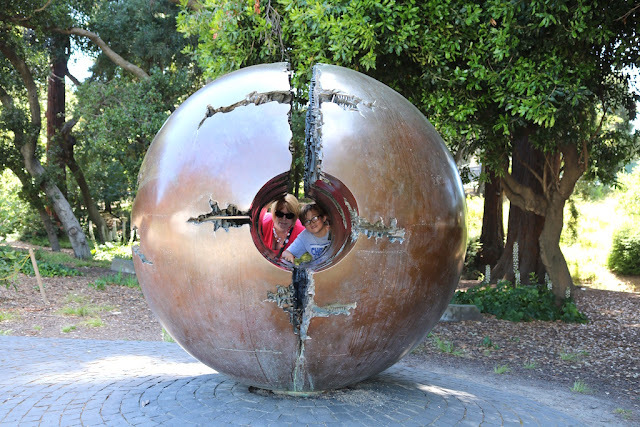 I was born in Berkeley - I need to go back for a visit. Have a wonderful weekend Andrea!